Brand New 2 Bed Apartment With Sea Views on Fantastic Private Complex With Communal Pool, Tropical Gardens, Heated Indoor Pool, Gym and Sauna. 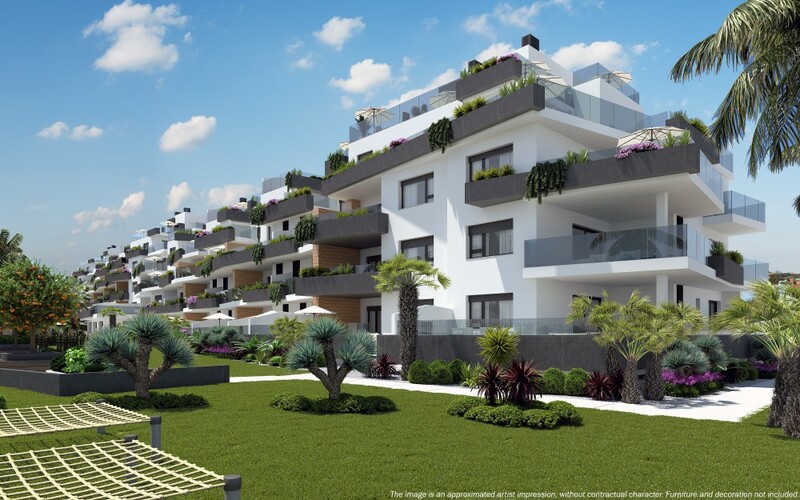 Residential MUNA is a truly special project locate in the Los Dolses area between La Zenia and Villamartin. 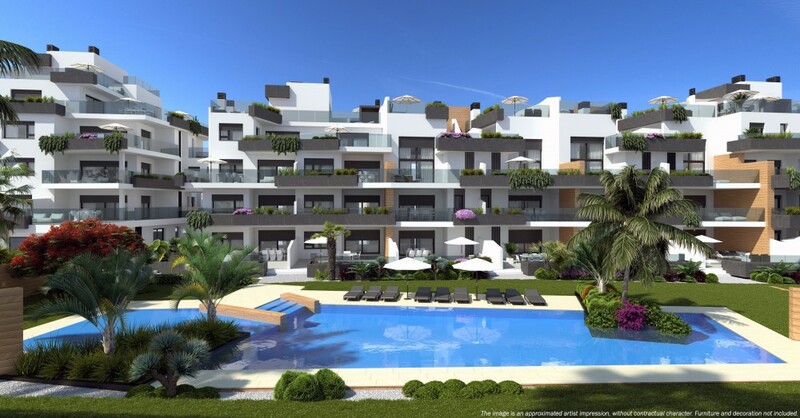 It is only within a 10 minutes walk from the fantastic shopping and leisure center of Zenia Boulevard and close to the best beaches on the Costa Blanca as well as large range of other day to day amenities and services. This impressive residential development has a total of 78 apartments with 2 and 3 bedroom options all built and finished with thehighest quality materials. There are open green spaces, children's play parks and relaxation areas as well as large communal swimming pools. What also makes this beautiful. modern development especially appealing is its South facing orientation, close proximity to the beaches, bars, restaurants and shops.. In addition most of these stunning properties will also have fantastic sea views. In each block there are 2 and 3 bedroom properties to choose from on all the ground, first and second floors. There are also four 3 bed duplex's available on the 2nd floor with large 45m² rooftop solariums and 3 very special top floor 3 penthouse suites with over 100m² internal living space, 80m² of outside terracing and an enormous 115m² rooftop solarium. Both the duplex and penthouse suites come with a choice of Jacuzzi or swimming pool included in the price and magnificent views of the Med as standard! The complex also has its own private gym and spa with indoor heated swimming pool and sauna. We have received your request regarding the property reference: VMN TRV MUNA AP 1F 2B. One of our agents will contact you as soon as possible.